Ok, after getting some feedback: this one is to show that the boys will get their share of the game. I’ll try to do some sort of 50/50, but as I am also including fantasy figures it will get slightly off balance here and there. Also, I’m trying to stay clear of weapons, but I hope a bow & arrow is ok. I’ll have a skateboard and suchlike, too. The images need some cool extras once in a while. Right? Otherwise it becomes too minimal, and these first versions are minimal anyway – due to technical restrictions. Are bow & arrow ok for you? 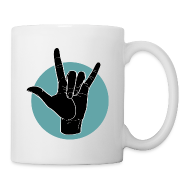 The coolKIDS illustrations are part of a project for children who are confronted with the sign language alphabet at a later point in their life. There is a lot of material out there for very young children, and then there is the more neutral material for adults. So far I have seen little of interest between these two aspects, especially not for young people in the age where hero figures become more important and self valor and self-esteem are questioned for the first time. I hope that the coolKIDS manage to fill this gap in a meaningful way, by providing material that celebrates the hand signs as something cool to know for kids of all backgrounds. A knowledge, that is supposed to make you more rather than less interesting. Two digital books are being prepared right now by LegendaryMedia and myself: a German and an American version of the Fingeralphabet coolKIDS. This entry was posted on Monday, August 12th, 2013 at 15:49. It is filed under Additional Material, cool KIDS, To Buy. You can follow any responses to this entry through the RSS 2.0 feed.